Bryden ("Jack") Thomson was Principal Conductor of the Ulster Orchestra from 1977 to 1985, during which time he raised the national and international profile of the orchestra, through a wide-ranging concert repertoire and especially through a series of acclaimed recordings of the relatively neglected music of Ulster-born composer Sir Hamilton Harty, as well as that of the English though thoroughly Hibernophile Arnold Bax, who spent much time in Donegal, drew much musical inspiration from Irish literature and even wrote poetry and prose under an Irish pseudonym. Thomson was born in Ayr in 1928, and after attending the Royal Scottish Academy of Music, studied for several years abroad, beginning in 1954 at the prestigious Staatliche Hochschule für Musik in Hamburg (now the Hochschule für Musik und Theater Hamburg), where he studied with Hans Schmidt-Isserstedt, leading German conductor and former Director of the Berlin State Opera. He then moved to study under the internationally-renowned conductor Igor Markevitch at the Salzburg Mozarteum. In 1958 he became an assistant conductor of the BBC Scottish Symphony Orchestra and was soon making guest appearances internationally. He was appointed Associate Conductor of the Scottish National Orchestra in 1966 and in 1968 became the Music Director of the BBC Northern Symphony Orchestra in Manchester (now the BBC Philharmonic). His prolific recording career began in 1970. As Principal Conductor of the Ulster Orchestra, he recorded all the orchestral music of Sir Hamilton Harty, including his Irish Symphony, his piano concerto and violin concerto, and choral pieces The Children of Lir, Ode to a Nightingale (both with Ulster-born soprano Heather Harper), In Ireland and With the Wild Geese. These recordings won enthusiastic reviews for both conductor and orchestra, on both sides of the Atlantic; leading US critic and writer David Hurwitz wrote in 2004 - two decades after their release - that they "have not been surpassed", while the authoritative Penguin Guide in the UK consistently awarded Thomson and the Ulster Orchestra their highest recommendation. He also embarked on recording all the orchestral music of Bax; his albums of Ulster Orchestra recordings of Bax's tone poems, including his "Éire" trilogy of Rosc-Catha, Into the Twilight and In the Faery Hills, won similar plaudits. Under Thomson, the orchestra became one of the leading recording orchestras in the United Kingdom, particularly in British repertoire, alongside their fine concert reputation. With both Harty and Bax, Thomson revived and uncovered the composers' music, bringing it to much wider, and appreciative, audiences. His recording of Bax's Fourth Symphony won a prestigious Gramophone Award in 1984. 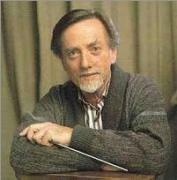 Bryden Thompson left the Ulster Orchestra in 1985 and held Principal Conductor posts with the RTÉ Symphony Orchestra, Dublin and the Royal Scottish National Orchestra. He also continued his recording work, with the London Philharmonic Orchestra and English Chamber Orchestra, of central repertoire (Vaughan Williams, Sir Edward Elgar) and slightly lesser-known music, again to much acclaim: of his Bohuslav Martinů recordings, one critic wrote that "these performances sweep the field". His recordings of Carl Nielsen were particularly praised, as was a recording of Hummel piano concertos which won a coveted Gramophone Award in 1987. Bryden Thomson was keenly encouraging of many emerging young artists including the now internationally-acclaimed Belfast pianist Barry Douglas, who made his BBC Promenade Concerts ("Proms") début with Thomson. He was regularly the conductor of the concerto finals of the BBC Young Musician of the Year competition. Thomson also commissioned many new works, including several from fellow Scot, composer John Maxwell Geddes. A symphony he commissioned from Geddes was not yet complete when Thomson died in Dublin in 1991, aged just 63. Geddes added the subtitle "In memoriam Bryden Thomson" to the completed work. In 1984 he was awarded an honorary DLitt by the New University of Ulster, for services to music in Ulster.